This is the penultimate volume in Priory’s second series of The Complete Psalms of David. 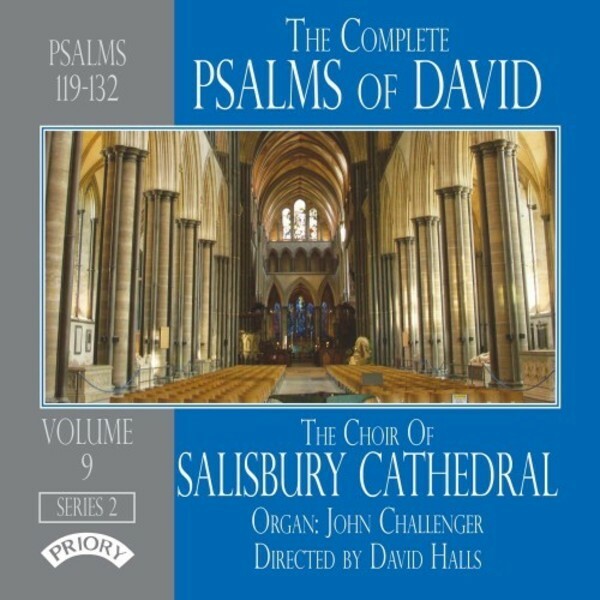 Returning to Salisbury Cathedral where volume 2 was recorded (PRCD1058), the choir sing the Psalms from 119 to 132. Psalm 119 is the longest of all 150 and takes just over 42 minutes to sing, although in the context of services it is divided into sections for morning and evening use. This is the first recording where it is sung in its entirety on a single CD. As with the other volumes, all the chants are new to the catalogue and receiving their first recordings.